If you've got a wired Ethernet cable and an available Ethernet port on your PC, this is the best option of getting fast Internet. This article shows you how to connect your PC to the Internet through a wired connection. Step 1:Connect your Ethernet cable to your PC and plug the other end into your modem or router. In most cases, you will connect to the Internet automatically. If it doesn’t work, go to the next step. Step 2: Not being able to connect to the Internet? Troubleshoot your connection. 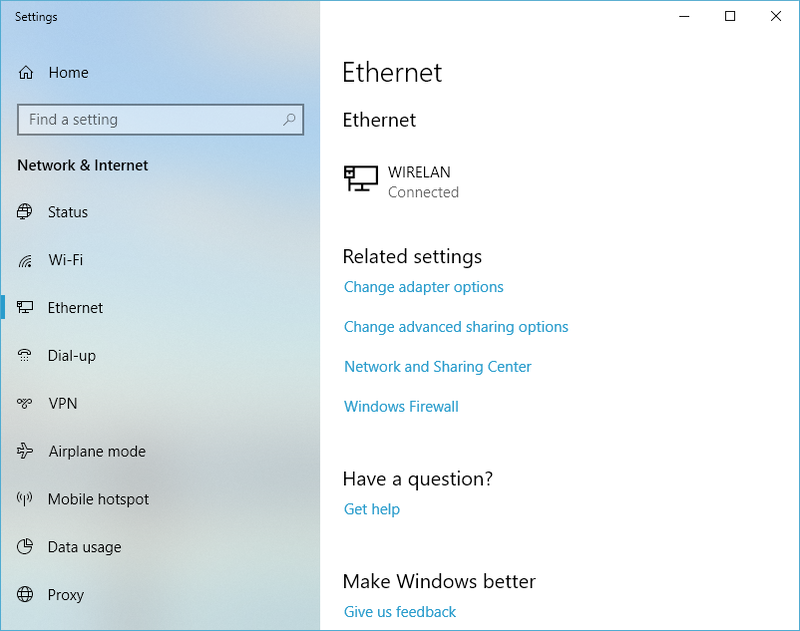 First,go to Network Connections (Windows key + X - click on “Network Connections”) and click on the Ethernet on the left. If you don’t see anything listed here, click on “Change adapter options” and make sure the “Ethernet” connection is present. If it says “Network cable unplugged”, check your Ethernet cable - you may need to plug it in again or change it. If it looks connected and the Internet doesn’t work, contact your ISP for further instructions.